The A/C compressor is a vital part of your car’s Air Conditioning or climate control system. Driven by a belt from the engine, the A/C compressor pumps refrigerant into the condenser and evaporator. It operates similarly to the compressor in a refrigerator or a home air conditioning system. The process that creates cool air in an A/C system releases humidity from the treated air. This water exits through the drain hose, usually onto the pavement (the wet spot you sometimes see under your car on a hot day). If this hose is clogged by dirt or ice (the latter a sign of another malfunction), water may leak out in other places instead, sometimes inside the car’s cabin. Just one of the reasons it’s so important for Jiffy Lube® technicians to inspect all accessible components for cracks, leaks or damage. An Antilock Brake System is a key safety feature that helps you retain control of your vehicle when you apply the brakes, especially in panic stops or on slippery roads. It operates by sensing the rotation speed of each wheel. When it senses that a wheel is about to stop rotating or “lock up” (skid), ABS eases the braking force momentarily to that wheel to maintain better traction. Jiffy Lube technicians can help make sure your ABS is working properly. Where standard cruise control maintains a set speed, the newer adaptive variety does the same but can adjust the vehicle’s speed to maintain a safe following distance behind the vehicle ahead. Traditional headlights simply shine light on the road ahead. Adaptive headlights can adjust to turn the lights in the direction of a turn, or dim them to prevent blinding oncoming traffic, or change their brightness in response to weather conditions (i.e., rain or fog). Refrigerant is compressed, expanded and condensed within your car’s air-conditioning (A/C) system to cool the air entering the cabin. It can change state between liquid and gas in this process; early refrigerants (i.e., Freon) were proven pollutants. Modern, less-harmful refrigerants can sometimes be used in older systems but may require extensive upgrading of seals and plumbing materials. Your Jiffy Lube technician can recharge your air conditioning system using the appropriate refrigerant to the system capacity according to the vehicle manufacturer's specifications. (A/C) A system that cools the air entering the car’s interior by compressing refrigerant, then passing it through a condenser and evaporator. In the last stage, the refrigerant removes heat from the air. Before air enters the ventilation system and is cooled, or heated, it is filtered to remove dust and debris. Usually a folded-paper or foam element that cleans the air entering the engine. If dirty or clogged, it can harm engine performance and fuel economy by restricting airflow and needs to be cleaned or replaced. Many Jiffy Lubes offer engine air filter inspection and replacement services. Often called a “cabin air filter” this system removes pollen, dust and other airborne contaminants before the air enters the passenger compartment of the vehicle. Many Jiffy Lubes offer passenger cabin air filter inspection and replacement services. The air pump is a device used in some emissions control systems to push clean air into the exhaust stream. This filter cleans the air before it enters the pump to prevent damage or wear to the pump. Your Jiffy Lube® technician can tell you when it needs to be replaced. These safety devices inflate instantaneously when sensors detect a severe collision, and protect occupants by cushioning their impact with interior elements of the vehicle. Your engine depends on liquid circulating through it and your radiator to maintain proper engine temperature. Antifreeze (also known as coolant) contains glycol and other additives to help keep your engine operating at optimal temperature regardless of outside conditions. Many Jiffy Lubes offer Radiator Antifreeze/Coolant inspection and replacement services. Hydraulic fluid used to actuate Antilock brakes operates at high pressure, requiring reinforced lines rather than the simple rubber hoses used in braking systems before the widespread implementation of ABS. Safety devices inside your car. The auto shift lock prevents starting the engine unless it’s in Park or Neutral, and may also prevent engaging gear unless the brake pedal is depressed. In a manual transmission vehicle, a similar switch prevents engaging the starter if the clutch pedal is not depressed, thus preventing unintended motion. Transmission gears deliver power from the engine to the drive wheels. In an automatic transmission, a torque converter replaces the clutch, and a planetary gear set or a set of internal clutch bands operates to select gears automatically. Modern automatic transmissions are typically controlled electronically. 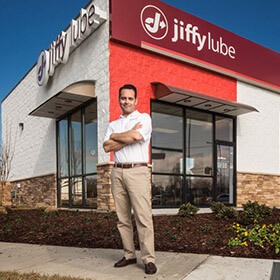 Many Jiffy Lubes offer a range of automatic transmission services, including automatic transmission fluid drain and fill, and filter replacement. An oily fluid used inside an automatic transmission to manage friction/lubricity. Different manufacturers may require different types of fluid for their transmissions. This fluid also circulates through a radiator-like device to cool the fluid and the transmission itself. Your Jiffy Lube® technician can tell you when it needs to be replaced. Added lighting besides the standard, legally required head and tail lights, such as fog lamps, driving lights or spotlights. AWD stands for All-Wheel Drive, which sends power to all four wheels with driven axles at both ends and, usually, some kind of differential that adjusts the fore-and-aft distribution of power for varied conditions. The term “AWD” is generally used to denote a system meant primarily for on-road use, distinguishing it from 4WD used by off-road machines that can “lock” the center differential for severe conditions. Both systems deliver power to all four wheels instead of just the front or rear wheels. The lubricant inside the differential that distributes power to both ends of an axle. Your Jiffy Lube® technician can tell you when it needs to be replaced. A type of connection for steering or suspension elements that uses a ball inside a socket to allow motion and rotation. Over time, these will wear out, so regular inspection, especially in older vehicles, is important. Replacing worn ball joints is vital to maintaining vehicle safety. A switch that can disconnect the car’s battery from the electrical system. In most cars, it would be triggered when sensors detect a collision. Similarly, some electric or hybrid-electric cars have manual switches as a safety device. Where the upper body, or greenhouse (roof and glass), meets the lower portion, generally defined by the bottom of the windshield, door glass and rear window. Hydraulic fluid that conveys the pressure applied to the brake pedal to the wheel brakes of the vehicle to slow it down. The fluid must be kept clean and water-free to ensure proper brake operation. If the amount of fluid in the brake reservoir falls below a certain level, it can affect the safe operation of the brakes. But no worries: Jiffy Lube® technicians check your brake fluid level (in transparent reservoirs) with every Jiffy Lube Signature Service® Oil Change. Typically made of metal and rubber tubing, a system of lines holding hydraulic fluid connects the master cylinder to the brakes at each wheel. When fluid in the master cylinder is compressed by the driver pressing the pedal, the pressure in the lines operates the wheel brakes. When brake lines collapse or leak, they need to be replaced. Inside a disc brake caliper, brake pads are the replaceable element that makes direct contact with the brake rotor when the driver presses the pedal. Made of high-friction, heat-resistant material on a metal backing plate, brake pads perform the same function as brake “shoes” or “linings” found inside drum brakes and these terms are sometimes used interchangeably. When pads wear out, not only does braking performance go down, but what’s left of the brake pad can cause costly damage to the discs and other brake parts. That’s why it’s important to inspect brake pads periodically and replace them before they wear out completely. Mounted behind the brake pedal, this spring assists in returning the pedal to its normal position after the driver releases foot pressure on the pedal because hydraulic pressure in the system doesn’t do this fully or quickly. The spring also resists foot pressure on the pedal, a factor in how the pedal feels to the driver. Impact-absorbing structures at both ends of a vehicle. Formerly a separate add-on element but now typically integrated into the body. Interior lights may include a dome light to illuminate the entire cabin either when the door is opened or manually. Other lighting in the cabin may include ambient light to cast a glow over switches and dials while the car is in motion, map or reading lamps for individual seating positions, and lighting dedicated to vanity mirrors, cup holders or glove boxes. Often when these fail, it is because of a burned out bulb or fuse. The brake caliper presses brake pads against the brake disc, causing friction that stops the car. It may be configured in several ways, using one or multiple pistons, with a body that is either fixed (with at least one piston on each side of the rotor), or one that allows sliding (so that a single piston can apply the pad on both sides). Jiffy Lube technicians are familiar with all modern caliper configurations. One of the components of automotive emissions. Commonly abbreviated CO2, a molecule that combines one carbon atom and two oxygen atoms is a byproduct of internal combustion engines. It’s considered a greenhouse gas and a contributor to global warming; CO2 emissions reduce in direct proportion to fuel economy. Jiffy Lube technicians expertly perform state and/or locally defined vehicle inspection and/or emissions testing. A device mounted to the engine intake that mixes fuel and air in correct proportions for combustion, the carburetor has largely been replaced by fuel injection in modern vehicles. Jiffy Lube Fuel System Cleaning Service helps to clean out harmful build-up and deposits in every kind of fuel system. An emissions control device used on almost every car on the road. To reduce pollutants leaving the tailpipe, the exhaust can be passed over or through a catalyst—a chemical substance that reacts with the burnt gases to create a more benign gas—contained in a muffler-like canister. Catalysts can clog over time, affecting engine performance and fuel economy. 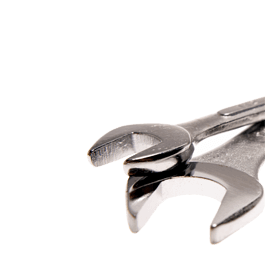 Your Jiffy Lube® technician can help determine if your catalytic converter is in good working order. The chemical reaction inside a catalytic converter creates heat, so a shield, typically a metal or insulating substance, protects the car and surroundings from the heat of the catalytic converter, especially in situations such as parking on tall grass. Hydraulic fluid, similar or identical to brake fluid, as used in the clutch lines and cylinders to operate the clutch in a manual-transmission vehicle. Your Jiffy Lube® technician can tell you when it needs to be replaced. U.S.-market fuel economy is regulated by the federal Environmental Protection Agency (EPA), which establishes three standards: one for typical stop-and-go city driving, one for steady state highway speeds, and a “combined” rating. The latter is the figure cited on the vehicle price sticker, and is calculated by weighting the highway mpg at 55 percent and the city figure at 45 percent. A liquid that circulates through the engine and then the radiator to shed heat. Water suffices sometimes, but the addition of glycol or other additives allows the coolant to work over a wide range of temperatures, from below freezing to over the boiling point of water. Also see “Antifreeze.” Coolant loses effectiveness over time. Your Jiffy Lube® technician can tell you when it needs to be replaced. A fan that draws air through the radiator to shed heat collected by the coolant. A shroud around the fan improves its efficiency. The fan itself may be driven continuously by a belt or be connected via an automated clutch that engages the fan only when needed. Some vehicles equipped with ABS, traction control and other advanced electronic systems have an additional technology that can apply braking to individual wheels to improve cornering safety. Lamps, usually mounted low in front of the front wheel, aimed outward to enhance illumination when making a turn. Note that they’re only useful when activated by use of the turn signal. Jiffy Lube Light Bulb Inspection and Replacement can determine whether yours are working properly. The crankcase is at the bottom of the engine, where connecting rods from the pistons turn the crankshaft. Pressure can build up inside this space, which contains your motor oil. A “breather” allows the pressure to escape. This valve opens to release crankcase pressure before it becomes excessive. Air entering the crankcase can carry dirt or harmful particles, so the CCV filter helps prevent contamination and engine damage. Your Jiffy Lube® technician can tell you when it needs to be replaced. CV stands for “constant velocity,” and these joints, found at both ends of the drive axles or half-shafts, allow the wheels to steer or rise-and-fall with suspension movement even while receiving power from the transmission. Protected by rubber “boots” that contain lubricant, CV joints are crucial elements of front- or all-wheel-drive systems. Over time, the boots (or covers) can crack or tear, which can lead to premature wear of the underlying components. This is why they should be inspected regularly. The CV joints themselves need replacement over time as well, often but not always indicated by a clunking sound during acceleration. Regular inspection by your Jiffy Lube® technician can determine when the boots or joints need to be replaced. Unlike a conventional automatic transmission, which uses gears, a “Continuously Variable Transmission” has a drive belt that carries power between two cone-shaped pulleys. Varying where the belt rides on the two cones creates different drive ratios, but continuously rather than in fixed “steps” as in multiple-gear transmissions. Consult your owner’s manual to determine if your vehicle has a CVT. An engine that doesn’t use a spark to ignite gasoline, but instead relies on extreme combustion pressure to trigger an explosion in less volatile diesel fuel. Named for inventor Dr. Rudolf Diesel, this system is also called a “compression ignition” engine because the explosion is triggered by heat created when the piston compresses the air/fuel mixture. The lubricating oil inside a differential gear box, usually located at the rear of the vehicle in a rear-wheel-drive vehicle. In some vehicles, like some trucks and performance cars, this oil may also be routed through its own radiator-like cooler to reduce heat in the differential. Your Jiffy Lube® technician can tell you when your differential fluid needs to be replaced. Today the rotor portion of a disc brake can be made of various substances, typically steel, ceramic or carbon-fiber. Other variations include the means, if any, of extra cooling: solid rotors are simple discs, but they may be ventilated internally, cross-drilled or slotted, to shed heat. Rubber boots, typically looking like accordion cones that hold lubricant and protect the CV joints from dirt and other roadway contaminants. Regular inspection by your Jiffy Lube® technician can determine when the boots need to be replaced. A drive shaft connects the transmission with the rear axle in a rear-wheel-drive, all-wheel-drive (AWD) or 4WD vehicle to carry power from the transmission tailshaft to the differential. Sometimes, people say “drive shaft” when speaking of what are technically “half shafts” or drive axles that carry power outward from a differential or transaxle to independently suspended wheels. The power from the transmission may be directed to two wheels (either at the front or rear) or to all four (either AWD or 4WD). So a vehicle is said to have a front-wheel-drive (FWD), rear-wheel-drive (RWD), all-wheel-drive (AWD) or four-wheel-drive (4WD) system. The driveline carries power from an engine, or electric motor, or hybrid system, through a transmission and drive axle(s). All those elements are parts of the driveline. A Direct Shift Gearbox, also known as a “dual-clutch” gearbox, is a form of manual transmission that does not require a clutch pedal and can be operated automatically. Unlike an automatic transmission, a DSG doesn’t use a torque converter, instead relying on a more efficient mechanical clutch system but automated to reduce driver effort. ABS can be enhanced with EBD, which goes beyond detecting lock-up and can vary the amount of brake force at each wheel depending on speed, load and other input received from vehicle motion sensors. ESC is a safety technology that can prevent a vehicle from fishtailing or spinning out of control. Sensors and accelerometers provide information to a computer that can apply brakes, reduce power or, in some advanced systems, even use the steering and transmission to keep the vehicle balanced through a cornering maneuver. The letters ESC may appear on a light inside the vehicle to indicate when it is operating (a warning that the driver is approaching the limits of available traction) or on a button that allows temporary deactivation of the system. Drivers sometimes do not apply full braking force immediately in an emergency situation. Emergency brake assist can detect a “panic stop” and apply full force sooner to reduce stopping distance. Limits established by the Environmental Protection Agency (EPA) or state authorities as the maximum permissible levels of various pollutants like nitrous oxides, carbon monoxide, organic compounds and particulate matter. Some states require regular inspections of your vehicle’s emissions systems. Consult your local Jiffy Lube® to determine whether it is an authorized inspection station. The hoses and tubes between various elements of an emissions control system. If the operation of the emissions controls is dependent on the condition of these hoses and tubes, the government establishes warranty requirements that are usually longer than the manufacturer’s powertrain warranty. Failure of these hoses and tubes can result in failure to pass local testing requirements. Regular inspection by a Jiffy Lube® technician can determine when these need to be replaced. The lifeblood of your engine. Engine oil reduces friction, heat, dirt and wear. All vehicles have recommended oil change intervals. Consult your owner’s manual and abide by its recommendation religiously to help prevent premature engine wear or failure. An engine’s power output. It may be affected by wear, condition or even weather. A form of alcohol that may be added to gasoline for automotive fuel, ethanol is most often distilled from corn. In many areas 10 to 15 percent of pump “gasoline” may actually be ethanol. By law, it usually says right on the pump. Four-wheel-drive, a designation used to distinguish a drive system designed for use in extreme circumstances from an AWD (all-wheel-drive) system intended more for dirt roads or bad weather. In a 4WD system, the driver may choose a “low” range in the center differential to maximize climbing ability at slow speeds and may also opt to “lock” one or more differentials to manage where the power goes. While rare today, “active” four-wheel steering can steer all the wheels, typically in opposite directions for low-speed parking maneuvers and in the same direction to maximize responsiveness at highway speeds. Some cars have a “passive” version of 4WS that operates in the latter way at speed. Vehicles equipped with four-wheel-steering require more complex alignment services than vehicles without. Vehicle specifications typically cite the diameter of the front brake rotor (in inches or mm) and the caliper configuration (single or multi-piston, fixed or sliding). Although rare in the 21st century, front brakes might also be of the drum variety, in which case the specification would be drum diameter and number of brake shoes. A measure of the maximum volume of the fuel tank(s) in a vehicle. The amount of fuel used to travel at a particular speed for a particular time or distance (i.e., X gallons per hour or per 100 miles). Often used by fleet operators or in other transportation modes, such as rail or air travel. The distance traveled for each gallon of fuel used, such as 30 miles per gallon. This figure, as used by the Environmental Protection Agency (EPA) to regulate the efficiency of cars sold in the U.S. market, is familiar but requires an extra step to calculate actual consumption and cost. Often mounted in the fuel tank but also found as a separate element in the fuel line or even in the engine compartment, this filter removes impurities from the fuel before it gets to the injection system or carburetor. A clogged or damaged filter can inhibit performance or stop the engine entirely. Your Jiffy Lube® technician can tell you when it needs to be replaced. A pressurized system that delivers fuel to the engine and sprays it through a nozzle. Injectors might be mounted in the throttle body (a device similar to a carburetor) in the intake port above the intake valve, or directly in the cylinder (the latter is called direct-injection). Dirty or damaged fuel injectors can affect engine performance and fuel economy. Your Jiffy Lube® technician can tell you when they need to be replaced. This can be more complex than you might think, especially since regulators have stepped in to minimize the amount of fuel vapor that might escape to the atmosphere. The system runs from the fuel cap and filler neck, into the tank, through a pump that delivers the fuel to the engine compartment and then into the injection system, which may have its own pump. There’s usually at least one filter to clean the fuel, plus a vapor recovery system and a means of returning evaporated fuel to the tank. An internal combustion engine that uses gasoline as fuel and ignites it with a sparkplug in each cylinder. Instruments that present information to the driver regarding the operation of the vehicle. Either analog (dials, often) or digital presentations, these might at minimum include a speedometer and fuel-level indicator. Other gauges include a tachometer (indicating engine rotation speed), ammeter and voltmeter (indicating the state of the electrical system), odometer (distance traveled), oil pressure and coolant temperature gauges. Assist forward vision in the dark or bad weather, and make the car more visible to others. Headlights include a low- and high-beam function and may also incorporate daytime running lights that turn on whenever the car is running. Your Jiffy Lube® technician can tell you when these need to be replaced. A unit of measurement of engine output supposedly comparable to the strength and ability of a farm horse. A 300 horsepower engine theoretically has the power of 300 horses. Manufacturers today usually cite SAE (Society of Automotive Engineers) horsepower, which is a standardized measurement using a common testing methodology that makes the figures comparable regardless of your vehicle’s country of origin or manufacturer. Industry shorthand for all of the components that contribute to the amount and temperature of the air flowing into (and out of) your car’s passenger compartment. HVAC stands for Heating, Ventilation and Air-Conditioning. Many Jiffy Lubes offer Air Conditioning and Air Filtration Services to help keep your HVAC components performing at their best. A vehicle that uses more than one source of energy for propulsion, such as the Toyota Prius that has both an electric motor using batteries and a gasoline engine that can either propel the car or charge the batteries. That’s the most common form of hybrid, but there are others, including plug-in hybrids (that can charge their batteries from the electric grid), fuel-cell and even systems that store energy in capacitors, pneumatic or hydraulic devices. The speed, as registered on the tachometer, at which an engine turns when running at idle. Some cars will move if a gear is engaged at idle, but others won’t, so “idle speed” is a sometimes meaningless expression applied to the vehicle as a whole. Brakes, often disc but sometimes of the drum variety, that mount on the inboard end of the half-shaft or axle that carries power from the differential. The near-universal outboard mounting inside the wheel itself has the disadvantage of adding weight where it is more difficult for the suspension to control, so inboard brakes were devised primarily for high-performance and racing vehicles. An alternator is a belt-driven device that charges the battery in a vehicle’s electrical system. An “intelligent” one uses a clutch to disengage the pulley from the engine to reduce drag on the system when charging is not needed—instead, it recharges the battery during idle or off-throttle (coasting) situations. A means of starting a vehicle when its own battery is fully discharged and cannot turn the engine starter. By connecting the positive post of the “dead” battery to the positive terminal on a good battery, and then connecting the negative or “ground” post of the good battery to the ground side of the receiving car (often, a separate post is provided by the automaker nowadays, or you can clamp to a chassis element), the dead battery will recharge. It’s best if the engine is running on the car providing energy, so its alternator can add to the system. IMPORTANT: Consult your owner’s manual before trying to jump start any vehicle as different manufacturers prescribe different methods. A pair of insulated wires with clamps on both ends, designed to carry electrical charge from one battery to another. IMPORTANT: Consult your owner’s manual before trying to jump start any vehicle, as different manufacturers prescribe different methods. Instead of having a metal key turning in a switch, a keyless ignition uses a proximity sensor in the car to detect the presence of a coded key fob. Once the car detects the fob, it enables a dashboard button that starts the car. The part of a door, trunk lid, hatch or ignition switch into which a metal key is inserted; tumblers within the cylinders mate with the key to allow it to turn, operating the locks or switches. A national program sponsored by the Environmental Protection Agency (EPA) that denotes certain vehicles that beat the minimum emissions standards to earn the LEV label. The system was patterned after one in California and several other states that use California standards, which denote not only Low but also Ultra-Low, Partial-Zero, Near-Zero and Zero-Emissions Vehicles. Also known as “standard” transmission, though it becomes rarer every model year, this transmission uses a foot-operated clutch and a lever, usually floor mounted, to change gears. In the past, the shifter was variously mounted on the column or even, in the earliest days of motoring, outside the vehicle. Today, most vehicles are equipped with automatic transmissions. Lubricant used in the gearbox of a manual transmission vehicle, typically a thick oil. Some vehicles use a separate lubricant for the shifter while others share oil between the shifter mechanism and gears. Your Jiffy Lube® technician can tell you when it needs to be replaced. Miles per gallon, a measure of fuel economy. The number of “gears” in a transmission, on the rise of late, as fuel economy becomes a growing concern. The number might range from two forward speeds (in early “horseless carriages” or as late as automatic transmissions from the 1950s and 60s) to eight- or even nine- and 10-speed transmissions in use or development at this writing. Usually, the upper gears beyond fourth or fifth are “overdrives” that spin the output shaft from the transmission faster than the input it gets from the engine. This is good for fuel economy, but typically requires a downshift to climb even a mild hill or to accelerate. Original Equipment Manufacturer, or the vehicle’s original maker. The term is typically used to distinguish parts made by your vehicle’s manufacturer from “aftermarket” parts made by companies not related to your vehicle’s manufacturer. OEM parts and some aftermarket parts are made to the exact specifications called for by your vehicle’s manufacturer. Some aftermarket parts are made to lesser standards and of lesser materials. Cleans contaminants and dirt from the engine oil to minimize wear. Needs periodic replacement or it clogs or builds up too much pressure and releases dirty oil into the crankcase. Your Jiffy Lube® technician can tell you when it needs to be replaced. Typically vehicle manufacturers recommend replacing your oil filter during every oil change. Or “OBD,” a standardized system with a plug that allows technicians to read information electronically to aid in diagnosis of engine malfunctions. Much information can be gleaned even with a handheld reader widely available at auto parts stores, but more sophisticated machines used by Jiffy Lube® technicians can perform more detailed analyses. A description of a vehicle’s handling characteristics in which the rear wheels slip more than the fronts while cornering, so there’s a “tail out” attitude to the car. Harder to control and inherently more dangerous than “understeer,” though it might also be faster in some cases in the hands of a skilled professional driver. An element of the emissions control system that is also used to improve engine efficiency, this sensor mounts in the exhaust stream (often near the catalytic converter) and detects the proportion of oxygen in the exhaust gas. The engine computer can adjust the fuel injection, ignition timing or other elements to optimize efficiency in response. Your Jiffy Lube® technician can tell you when it needs to be replaced. Part of your vehicle’s emissions system. The Positive Crankcase Ventilation system maintains “positive” pressure so that combustion gases that leak past the piston rings into the crankcase will be routed into the intake system and reburnt, rather than escaping as air pollutants. The valve routes the fumes; the filter cleans out particulates. Both require regular replacement. A hydraulic or electric system that reduces the effort required to turn the steering wheel. Some power steering systems are speed sensitive; they provide more assist at parking-lot speeds and less assist at highway speeds. The fluid used in a hydraulic power-steering system. Periodically needs to be replaced as recommended by a vehicle’s manufacturer. The parts of a vehicle’s radiator and Air Conditioning system that transfer heat from the coolant or refrigerant inside to the air outside. The core and condenser are both comprised of small-diameter tubing and wafer-thin layers of heat-conducting metal through which air flows to extract heat. Hoses that carry engine coolant to and from the radiator. With age, radiator hoses can crack and leak or become soft and collapse, causing the engine to overheat. Hoses should be inspected for soundness periodically. Your Jiffy Lube® technician can tell you when they need to be replaced. Rear brakes may be either drum or disc type. Although many vehicles today have 4-wheel disc brakes, manufacturers still use drum brakes in the rear on many models to keep costs down and because, for many applications, rear disc brakes are really not as crucial. Typically rear brakes provide about 10-40% of a vehicle’s stopping power. An electric device that melts frost or ice on the outside of a vehicle’s rear window and clears condensation on the inside. Type of fuel, based on octane rating and percentage of ethanol, recommended for use in a given vehicle by its manufacturer. Some vehicles, for example, recommend premium fuel but will still operate on regular fuel. Type of fuel with minimum octane rating and/or maximum ethanol content required by a vehicle’s manufacturer. Revolutions Per Minute. A vehicle’s engine speed is expressed in RPMs. It is the rate of speed at which the crankshaft is rotating and is displayed on the tachometer—a gauge usually found on a vehicle’s dashboard. Higher RPMs produce greater power and more wear; lower RPMs typically yield better fuel economy and less wear. A long, continuous, ribbed belt used to drive multiple engine accessories such as the water pump, alternator, air conditioning compressor, power steering pump, etc. It is important to monitor the condition of the serpentine belt when your vehicle is serviced because, if it breaks, the vehicle will be completely disabled. Many Jiffy Lubes offer serpentine belt inspection and replacement. An indicator light in the instrument cluster on the dashboard. Activated by the vehicle’s computer (ECU), the service reminder light comes on to indicate that a scheduled maintenance is due. This assessment is based on the length of time since the last service, number of miles driven and driving conditions. Mechanical components that connect a vehicle’s gear changing mechanism to the transmission. Insulated cables that carry a high-voltage electrical charge to each spark plug. When these become cracked or aged, fuel economy and engine performance can suffer, and they need to be replaced. Variously referred to by different manufacturers as Electronic Stability Control (ESC), Electronic Stability Program (ESP) or Dynamic Stability Control (DSC), stability control is a computerized technology that detects when a vehicle begins to skid and automatically applies braking force to the wheel or wheels necessary to help bring the vehicle back under control. Some systems also reduce engine power until vehicle control is regained. Also called a steering box, it is a housing that encases—and holds lubricant for—the gears that convert the rotational force from the steering wheel into lateral force to steer a vehicle’s front wheels. Rearward-facing red lights primarily to make a car visible to following vehicles. An integrated lens may also incorporate a turn signal, brake lights (otherwise a separate lens that lights to indicate braking), reverse or backup lights (white, to illuminate objects for the driver) and perhaps a fog lamp or two to improve visibility in inclement weather. Many Jiffy Lubes offer Light Bulb Inspection and Replacement to help make sure all are operating properly. The timing belt (on pulleys) or chain (on gears) connects the engine crankshaft with the camshaft(s). The “timing” element of the name refers to the relationship between these rotating elements, which must be carefully “timed” to coordinate the camshaft’s operation of the intake and exhaust valves with the motions of the pistons as defined by the crankshaft. A crucial part of your engine’s operation, a timing belt is subject to stretching and wear over time and requires periodic replacement. Your Jiffy Lube® technician can tell you when it needs to be replaced. This device applies pressure to the side of the belt to maintain correct tension and proper timing of the engine. Not to be confused with wheel diameter (SEE TIRE SIZE), the tire diameter is the outside diameter of a tire. Tires that are nominally the same size may vary in outside diameter, while others that are an inch apart in wheel size but of different aspect ratio may have nearly identical outside diameters. Such variances sometimes cause minor errors in odometer or speedometer readings. IMPORTANT: Installing tires of a much larger or smaller diameter than is recommended by the manufacturer for your vehicle can adversely affect ABS and other brake and stability control systems. Many cars do not have a spare tire anymore, or not a full-size one, at any rate. One compact solution is a collapsible spare, which is stored without air in it. Collapsible spares come with an inflator—a can of compressed gas, or a small air compressor that can be plugged into a 12V power outlet. Cars without spare tires at all may come with a can of pressurized sealant that can be used to fix the most common sort of flats, those caused by a puncture in the tire tread. These are also available in retail stores for emergency use. Or TPMS, mandatory on most new passenger vehicles since the 2008 model year, which alerts the driver when one or more tires have low air pressure. Such system use various means of measuring—some simply measure tire rotation speed using the ABS sensors and compare them to detect one that’s off-pace, while others have precision gauges that send data to the dashboard via telemetry. The latter are more accurate but also more susceptible to damage during repairs and require periodic replacement of batteries to power the system. The tire size printed on the sidewall tells you a lot. Consider 245/45-R-17. The first three digits spell out the tire width in millimeters, the number after the slash is the aspect ratio of the sidewall (nominally, a 45 section tire has a sidewall 45 percent of the tread width while a 60 section sidewall is 60 percent of tread width), R denotes radial construction and 17 is the diameter of the wheel that fits inside the tire. Other information on the sidewall will tell you the tire’s load capacity, its maximum speed rating, and even its age. A measure of twisting force generated by an engine. The amount of such force at a given instant, multiplied by the speed (revolutions per minute) at which the engine is turning, are elements in the equation used to calculate the horsepower generated. A safety system that prevents the loss of traction. It detects wheel slip or spin and can curtail power (or apply a brake) to maintain maximum traction and straight-line stability. The traction control system includes all elements used to maintain traction, including the wheel speed sensors (often shared with the ABS), ECU and throttle or brake actuators. It may or may not include switches to deactivate or moderate the operation of the traction control system, and dashboard indicators to inform the driver about the system’s status. A transaxle is simply a transmission that incorporates a differential function in the same case; nearly all front-wheel-drive cars use transaxles rather than separate transmissions and axles, and many rear-wheel-drive, high performance cars use a transaxle at the rear instead of a separate transmission and differential. The transfer case is the device that routes power to the rear of an AWD or 4WD vehicle, often employing a differential effect. The fluid within is a lubricant and coolant. The vehicle manufacturer will usually specify how often it should be replaced. To the traditional manual and automatic varieties, modern technology has added the shiftable automatic (with a torque converter, but a device to select gears manually) and automated manual (with automated clutch and shifting), plus the CVT (Constantly Variable Transmission) and, for select electric vehicles, no transmission at all. Settings a driver can select to change the way a transmission operates, to vary some aspect of its performance. One transmission might offer a “sport” setting to maximize acceleration, for instance, while another provides a “tow/haul” mode to reduce unnecessary shifting. Overdrive just means that the gear ratio is less than 1:1, say 0.8:1. That would mean for every 8/10ths of a rotation of the input shaft, the output shaft makes a full rotation. Good for economy, but an effective reduction in torque delivered to the wheels so at a disadvantage when the load increases due to terrain or speed demands. A navigational aid to travelers that calculates and displays the distance driven, fuel economy, speed, elapsed time and other data. Also called an “indicator,” an amber light at the corner of the car that flashes or blinks to indicate the driver’s intention to turn. Many Jiffy Lubes offer Light Bulb Inspection and Replacement to help make sure all are operating properly. A U-joint is a universal coupling that allows power to be transmitted around an angle. They are commonly found on jeeps and heavy-duty vehicles. They wear over time. This refers to the area of the vehicle visible from underneath the car. This typically includes suspension and drivetrain components. Understeer is loss of directional control of a vehicle in which the front wheels lose their grip and the vehicle continues in a straight line despite turning the steering wheel. It often results in the car leaving the road front-forward. Engine vacuum or suction was used particularly in older vehicles to help power certain accessories and systems like power-assisted brakes. Eventually those lines and hoses can crack or leak. Your Jiffy Lube® technician can tell you when they need to be replaced. Valves direct the flow of combustible gas in and out of the cylinders. Each cylinder has an intake valve, which admits unburned fuel, and an exhaust valve, which expels burned fuel. Many high performance cars have four valves per cylinder. Also referred to as the VIN number, it’s typically 17 digits long. It is the vehicle equivalent of a Social Security number, the permanent identification number of your vehicle. It may never be changed, and provides details of the date and place of manufacture. Typically the VIN is located on a plate at the base of the windshield and stamped in various components throughout your vehicle, such as the engine block. This is a centrifugal pump typically at the front of the engine, driven by the timing belt. It delivers coolant from the radiator into the engine block. Usually the water pump will begin to leak before it fails entirely. Your Jiffy Lube® technician can tell you when it needs to be replaced. Wheel alignment is the directional alignment of both front and back wheels. Proper alignment is crucial to tire wear, as well as smooth driving and directional stability. Wheel bearings are a concentric group of rollers turning in the hub of the wheel where it mounts to the axle. Wheel speed sensor is part of the system that detects variances in the rotating speed of your wheels to alert the ABS or other braking and stability control systems into action. Wheelbase is the distance between the center points of your vehicle’s front and rear axles. Generally speaking, longer wheelbase vehicles, like limousines, ride more smoothly. ZEV or Zero Emission Vehicle refers to the Zero Emission Vehicles mandated by the state of California Air Resources Board to make up a specified percentage of the vehicles on the road by the year 2020. SEE LOW EMISSION VEHICLE (LEV).